Anything that involves lifting weights and broscience are a match made in heaven. Unfortunately for powerlifters, following potential negative practices during a weight-cut can be the difference between hitting a PR and disappointment. The weight-cut refers to the short-term loss of weight before competition, usually within 7 days. This blog contains a guide on how to safely approach a weight-cut while decreasing the negative impacts on performance. In theory, the idea of a weight-cut is to temporarily reduce body mass to achieve a certain weight-class. This can therefore replace losing potentially important muscle and fat mass that come with chronic dieting, and help an individual make a certain lift. Short-term weight-cut practices can be very detrimental to performance if done incorrectly. Therefore, it makes sense to approach it safely and minimise losses in performance. Compromising these factors remove any benefit of competing at a lower weight-class in the first place. Inexperienced powerlifters are advised to avoid a weight-cut. At this level, a weight-cut will not provide any meaningful benefit and likely impair performance. We will now look at the different strategies to cut weight in priority of what is most effective at preventing losses in performances. 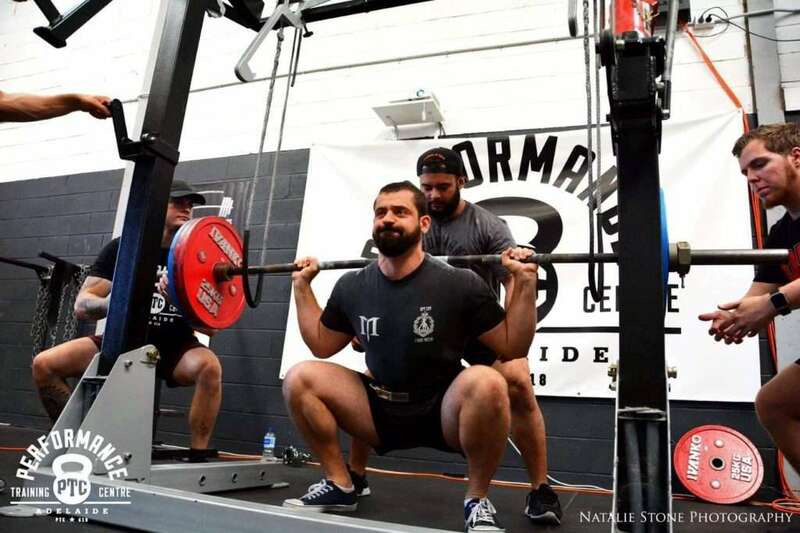 It is advised for a powerlifter to cut no more than 5% of body mass for a two-hour weigh-in, and no more than 10% for a twenty-four-hour weigh-in in the week of competition to minimise health concerns. Refer to these tips for longer-term weight loss strategies. A low-fibre diet is the first consideration to be taken when trying to achieve an effective weight-cut. The gut contains materials, mainly fibre, that absorb water and add bulk to your stools (poo). For general health this is good, however during a weight-cut it provides a potential opportunity to decrease body mass. In theory, this method allows a powerlifter to keep their energy intake the same, but, change just the type of foods consumed. Fruits, vegetables and wholegrains should be avoided due to their high-fibre content. The potential weight-loss depends on their initial fibre intake. Through this method an athlete can lose 0.5 to 1.5kg, beginning 2-3 days before weigh-in. Fluid restriction involves drinking less overall water. An athlete may lose up to 1-2% of body mass in one day by decreasing water consumption. The amount of water to cut may vary depending on your tolerance to reducing water intake, and the amount needed to lose weight. Some powerlifters may be fine with drinking no water the day before weigh-in whereas others still need some. Choose an amount that you are comfortable with. Sodium restriction involves simply choosing foods and beverages with lower salt content. Decreasing sodium intake in the 7 days prior to weigh-in will minimise the amount of water your body will hold onto. The amount of water lost during this will vary but has very little impact on performance. Active sweating involves completing some sort of moderate physical activity to increase body temperature and promote sweating. This method might be a surprise to some who assume that passive sweating (sauna, hot bath etc.) is more effective as it requires less effort. However, the water lost during the passive method is harder to rehydrate due to the location of water loss. This method is best utilised during the evening before, or morning of a weigh-in to minimise body stress. Athletes should engage in physical activity that they are comfortable with, and if possible, implemented in a training session before. As mentioned before, passive sweating involves increasing the body temperature through a hot environment such as a sauna or hot bath. This increase in body temperature activates a sweat response. This method may still be utilised when an athlete desires a quick weight-cut and is unable to achieve this through active sweating. It is not advised to practice this method without experience previously. Glycogen is the storage form of carbohydrates in the muscle and liver. When carbohydrate consumption is decreased, the glycogen storage is depleted which could potentially translate into approx. 2% weight loss. This method is best utilised in the seven days prior to weigh-in. It allows for an individual to maintain strength and power, however, does impact aerobic performance (physical activity > 5 mins). This may work favourably for a powerlifter but is up to individual preference regarding how they prefer their carbohydrate intake. If an athlete has a twenty-four-hour weigh-in before a meet, this allows for appropriate recovery time to replenish carbohydrate losses. However, if time is less than two hours, and the powerlifter prefers to have glycogen stores full, it is more appropriate to minimise glycogen losses, if possible. This will prevent impairing performance. It is advised to seek a doctor or Sports Dietitian before undertaking a weight-cut for more information. Matthew Benetti is a Masters of Nutrition and Dietetics student at Flinders University. He has previously completed a Bachelor of Nutrition and Food Sciences. Matthew is interested in most things’ nutrition and food. Having grown up in an Italian family, food has always been more than just something you shove in your mouth, but also a way of bringing people together. With experience as a competitive amateur boxer, Matthew is also interested in combat sports and providing long lost evidence-based practices to these sports.